Banyan Tree Vabbinfaru and Angsana Ihuru has announced plans to host a special dive event to mark the 20th anniversary of the famous Rannamaari Shipwreck. Slated to be the biggest diving event of the year, this five-day event from June 10-14 aims to create a delightfully educational experience to all participants and spread awareness of the importance of conserving marine life in the Maldives. 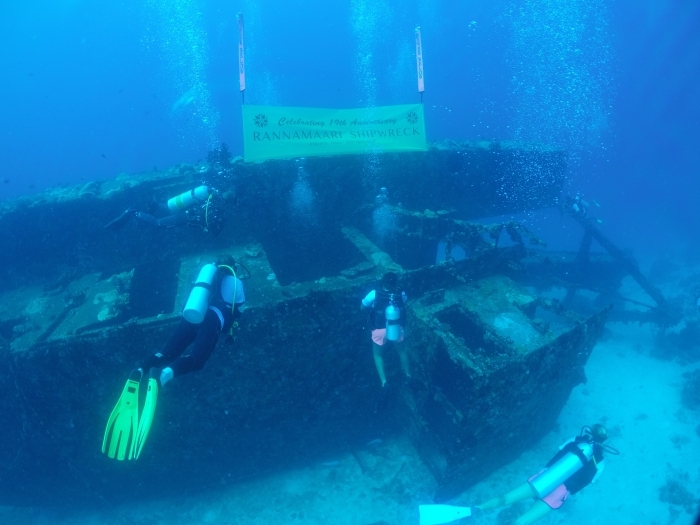 The Rannamaari wreck was previously used as a dredging ship on a nearby island and was towed to Angsana Ihuru in 1999 to be used as an artificial reef. 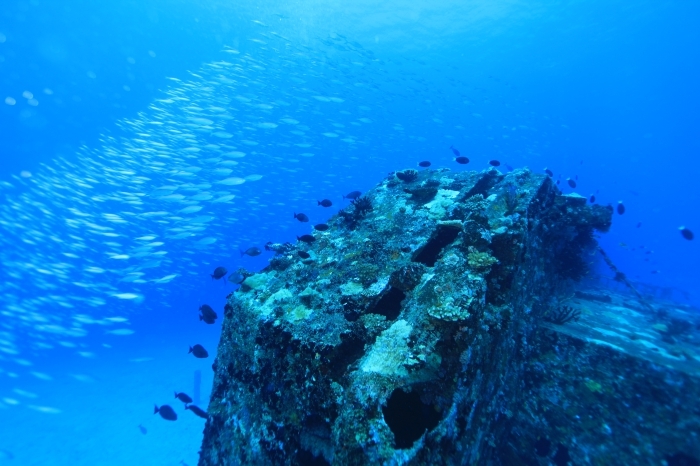 However, the ship sank “mysteriously” two days before the planned event and has since become a home for thousands of sea creatures and corals at a depth of 28 meters. 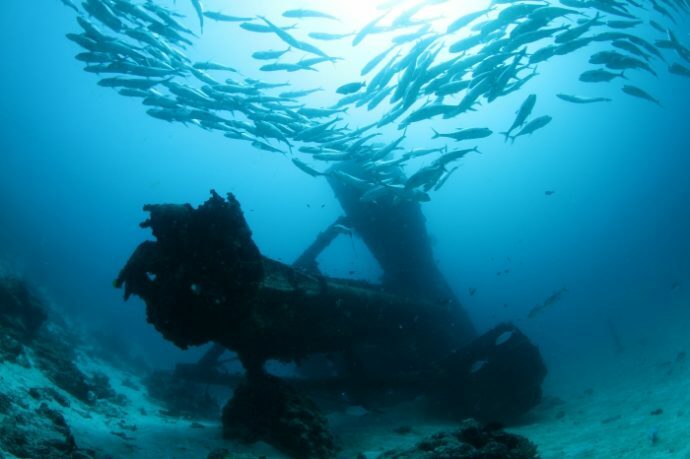 The wreck lies just outside the Ihuru house reef and is now an amazing dive spot with a plethora of marine life that frequents the vibrant coral reef including giant moray eels, scorpion fish, stingrays, eagle rays, batfish, nurse sharks, big jack fish, and sea turtles. Banyan Tree and Angsana Resorts are strongly dedicated to preserving the natural beauty of its environment, and the resorts strongly believe that every guest that arrives on its sandy shores leaves with lasting memories and a better understanding of the importance of natural conservation. Mark your calendars for the live streaming of the 10TO10 dive event from the sapphire depths of the waters around Angsana Ihuru, as experienced dive instructors and up to a 100 adventurous guests explore the imposing Rannamaari Shipwreck. With a plethora of activities such as traditional Bodu Beru, sunrise, sunset and late night dives, marine conservation activities, food and entertainment, there is something for everyone at the 20th anniversary celebrations of the Rannamaari Shipwreck! To commemorate this event and to truly give divers the experience of a life time, Angsana Ihuru and Banyan Tree Vabbinfaru have released an unlimited dive package, which includes dive activities for beginners and certified divers alike, as well as for kids from eight years old and above. This offer also includes complimentary spa treatments and is valid for stays from May to July 2019. Banyan Tree Vabbinfaru opened its door in 1995 and is the first international chain resort in the Maldives. With just 48 pool villas dotting around the island, privacy and relaxation can easily be attained. The resort has a restaurant, bar, PADI Gold Palm five-star resort dive centre and a Banyan Tree Spa. It is also home to the Banyan Tree Maldives Marine Lab, the first of its kind to be funded and built on a private resort, where guests can learn about marine conservation and partake in the many sustainability activities on offer including coral planting, reef cleaning, turtle care and daily stingray feeding sessions. Angsana Ihuru is surrounded by one of the most vibrant and well preserved coral house reefs in the Maldives. The resort has 45 villas, a restaurant and a bar, a PADI Gold Palm five-star resort dive centre and an Angsana Spa. Banyan Tree Vabbinfaru and Angsana Ihuru are located in North Male Atoll, just 25 minutes away by speedboat from the airport. The two resorts are just five minutes by boat away from each other.